GET OUT AND VOTE! Norm did. Blogger, reporter, photographer after voting at Lahaina Civic Center today. 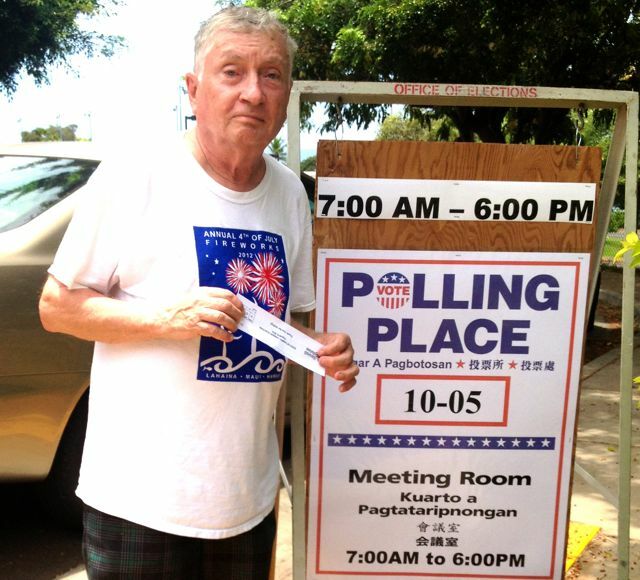 For good government, be sure to go out and vote this Saturday in Maui Primary Election until 6 pm at your local polling place. Weather where we are is not a problem at the moment. May the best candidates win. Previous MY BEAUTIFUL WIFE VOTED: HAVE U? Next BIG IDEA. Take your Pic outside polling place, put on Facebook to encourage your friends of vote.